PlayStation’s latest TV spot ends with a horde of people running along a beach, while others soar into the air and fly. The ad, titled Play Fearlessly, debuted on June 3, and appears to be getting the attention of millennials — 63% of whom play video games, according to recent figures from YouGov Profiles. 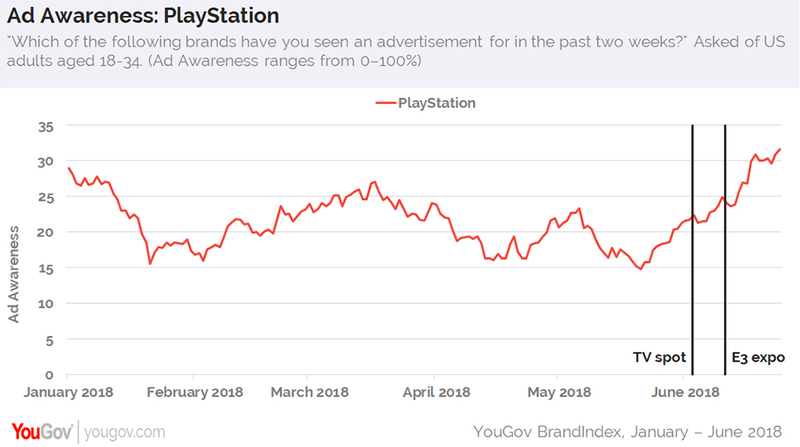 On June 3, for example, data from YouGov BrandIndex indicates that 22% of US consumers aged 18-34 recalled seeing an advertisement for PlayStation in the past two weeks. On June 24, however, that percentage had climbed 10 points to hit 32%. Following a June 11 showcase at this year's Electronic Entertainment Expo in Los Angeles, along with a Days of Play promotional sale, which ran from June 8-18, PlayStation’s Purchase Consideration score has also risen among the nation’s young adults. 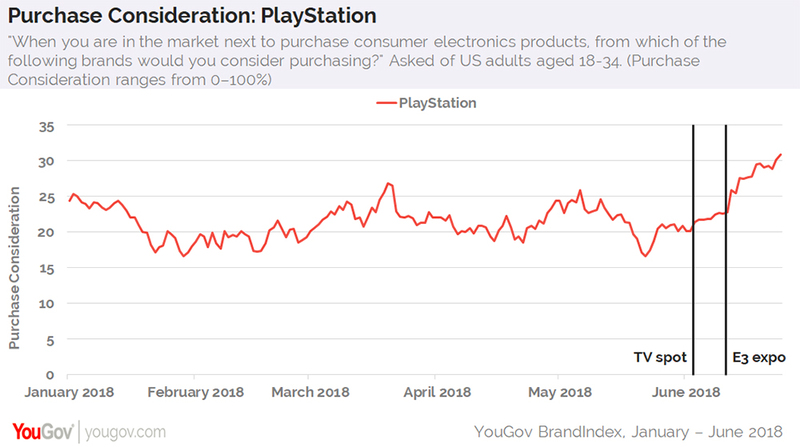 On June 3, when asked if they'd consider buying from PlayStation when next in the market for consumer electronics products, 21% of US millennials said they would. Since the ad campaign, promotional sale, and conference appearance, that number has increased to 31%. Additional data from YouGov Profiles suggests that 77% of US consumers aged 18-34 who play video games do so to relax and wind down, while 64% play to pass the time and 60% play to escape from reality. In total, 51% of millennial gamers agree that advertising helps them choose what to buy, compared to 47% of the general public.